When many think about the Patriots dynasty, the names Bill Belichick and Tom Brady immediately come to mind. The two are the greatest coach-quarterback combination ever and six-time Super Bowl Champions. 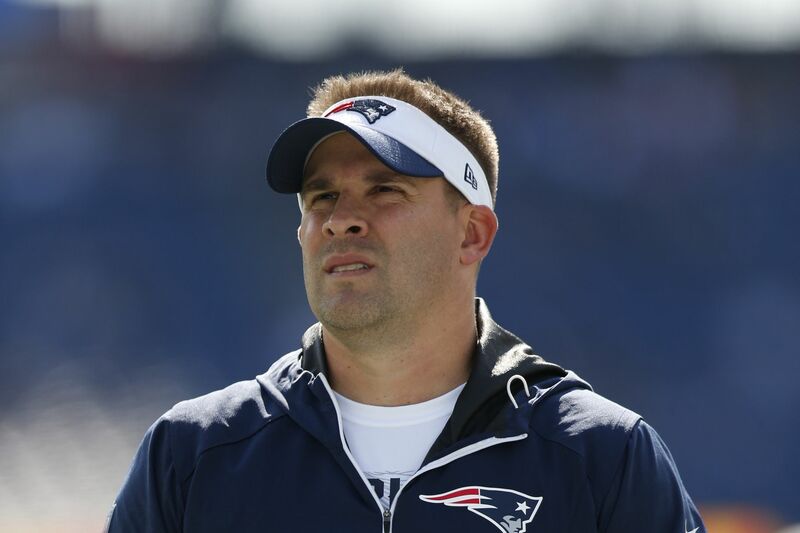 While many people think about the success of Brady and Belichick, they seem to forget about the other six-time Super Bowl champion on New England’s coaching staff, Josh McDaniels. McDaniels has worked in New England’s organization for 15 years, including 11 as an offensive coordinator and has had a very influential part in the Patriots’ dynasty. McDaniel’s ingenious offensive mind has taken New England to another level, and it is only a matter of time until he becomes the NFL’s next great head coach. McDaniels’ notoriety began in the 2007 season as New England’s offensive coordinator. For any NFL fan, the 2007 season was an absolute treat to watch the Patriots offense at work. In this season, no NFL record was safe with McDaniels’ playcalling, and Tom Brady set a new NFL record for passing touchdowns in a season (50). McDaniels also used his flashy new toy, wide receiver, Randy Moss, to shatter Jerry Rice’s 20-year-old record for receiving touchdowns in a season (23). The Patriots went on to average a mind-boggling 36.8 points per game and fell one Super Bowl victory short of an unblemished 19-0 season. Although the Patriots unquestionably had weapons, it was McDaniels and Belichick’s ground-breaking offensive scheme that separated them from many all-time great teams. In a 2017 article from The Ringer, writer Kevin Clark sat down with former Miami Dolphins safety, Cameron Worrell to discuss the 2007 Patriots offense. While preparing for the Patriots, Worrell was shocked by the number of shotgun formations the Patriots introduced. “It’s crazy because now it’s hard to imagine a time when this stuff wasn’t everywhere,” Worrell said. The coaches were saying, ‘They’ll be using three or four receivers, using guys in the slot, they’ll be quick at the line, they may not huddle, they’ll be in shotgun.’ And you’re thinking, ‘Whoa, this is totally different.’ But all this one-on-one matchup stuff—that’s all the NFL is now,” (Clark, 2017). In a copycat league, teams quickly implemented more and more of McDaniels’ philosophy within their offense, and soon enough the Patriots’ offense revolutionized the league’s usage of the shotgun. 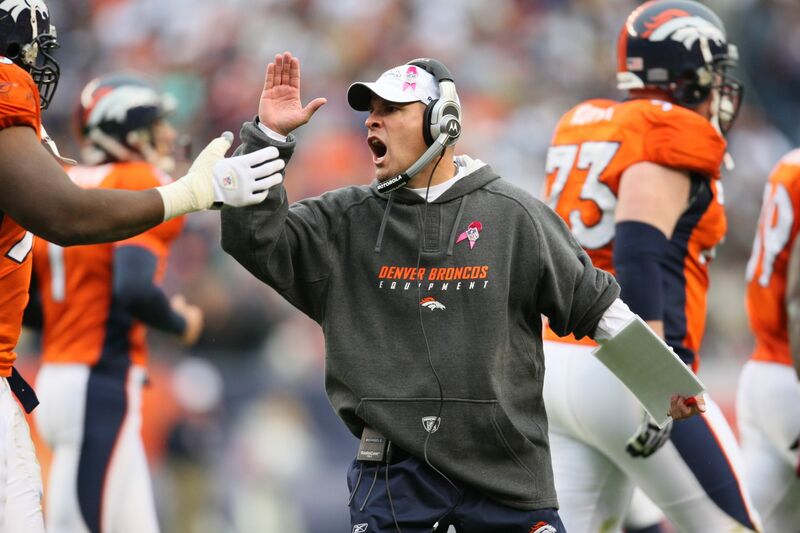 After yet another successful 2008 season in New England, McDaniels accepted the job as head coach for the Denver Broncos. At only 32, McDaniels was one of the youngest NFL coaches ever. Initially, McDaniels appeared unaffected by his young age as the 2009 Broncos galloped to an impressive 6-0 start; including a win over Belichick and the Patriots. McDaniels’ immaturity soon caught up to him as he went 5-17 in his next 22 games, and was dealt the pink slip following the 2010 season. After spending one season in St. Louis, McDaniels returned to New England once again as offensive coordinator. McDaniels picked up right where he left off, guiding the Patriots to the NFL’s top-ranked offense in 2012. Despite a loss in the 2012 AFC championship, the season indicated that McDaniels could be an influential piece in ending New England’s current eight-year Super Bowl drought. Two years later, the Patriots did just that, winning an unforgettable Super Bowl XLIX 28-24. Furthermore, an NFL Films Documentary, Do Your Job: Bill Belichick and the 2014 New England Patriots actually shows the Patriots go-ahead touchdown by Julian Edelman was actually a play drawn up by McDaniels and company the night before in a walk-through prior to the Super Bowl. McDaniels not only had a great influence in the Super Bowl, but also called a gutsy wide-receiver touchdown pass from Edelman to Danny Amendola that changed the momentum three weeks prior in a seesaw Divisional Round matchup against Baltimore. Fast-forwarding to Super Bowl LI, the quarterback/coordinator combo of Brady and McDaniels surgically sliced through the Falcons defense in the second half, roaring back from a 28-3 deficit, leading to yet another dramatic New England Super Bowl victory. As we flip to present day, the Patriots offense has not slowed down, collecting another Super Bowl victory along the way (Super Bowl LIII). Although Brady deserves most of the credit, it would be a mistake for NFL general managers to sleep on McDaniels’ magnificent mind behind the machine. Let it be known that McDaniels has had multiple opportunities to jump ship and become a head coach. Last year, McDaniels accepted an offer to become head coach of the Indianapolis Colts, but at the last minute decided to pass up on the job. Moreover, McDaniels also decided to remove his name from any NFL head coaching job consideration this season. This makes one wonder what McDaniels’ intentions imply going forward. Has owner Robert Kraft already assured him that he will be Bill Belichick’s successor in New England? Does he want to play out Brady’s final years? Or is he just waiting for the perfect head coaching opportunity? Regardless, I believe that all NFL GM’s should throw the house at McDaniels. At only age 42, the offensive coordinator is an elite offensive mind with unmatched coaching experience. With the right fit, this Belichick disciple could singlehandedly change a franchise overnight. So NFL general managers, this young writer implores you to take a shot at Josh McDaniels if the opportunity presents itself. Because in five years, this coach will rival Sean Mcvay as the best offensive head coach in football.